In the place of a time that moves forward un-haltingly, we may consider another one that twists back upon itself, as in a dream. This time is as bound to the specific as it is unbounded and incoherent. It is the time of a place, where what is ordinary and generically legible is set adrift and the imaginary is re-imagined as ordinary. In this non-place, what is recognizable may be only momentarily glimpsed. Shambhavi Kaul’s work Mount Song is invited in Social Factory, the Tenth Shanghai Biennale. Her work comprises repurposed excerpts from Hong Kong cinema of the 1970s and 1980s. A rapid transition of scenes depicts super-natural forces, acts of magic and haunted sites. The invisible energies of the elements and of particular sites are the “actors” in these scenes. Kaul’s selection of clips reflects her interest in set constructions and special effects: a cinematic language employed to convey and make cinematically legible a sense of deep attachment. The film itself raises questions of what is being re-shaped and re-articulated, as well as the very process of representational translation. 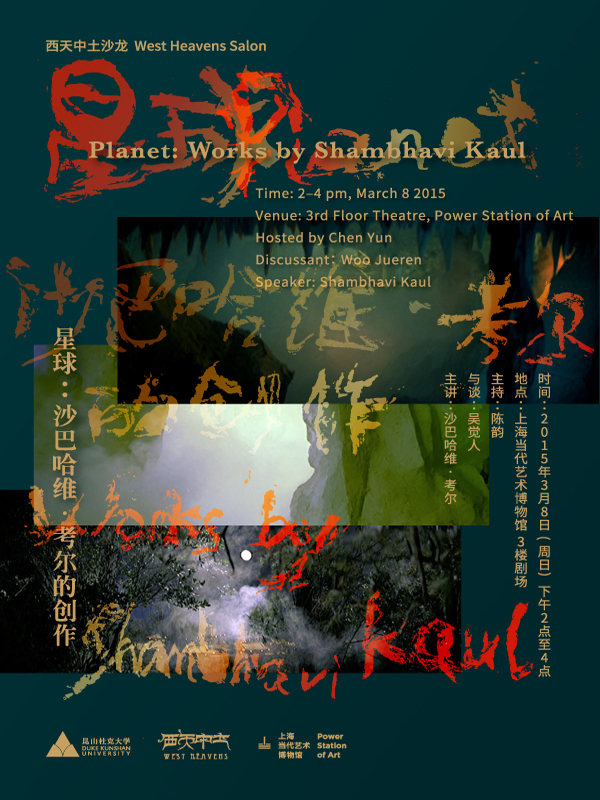 As an honored guest of West Heavens, Duke Kunshan University and Power Station of Art, Shambhavi Kaul will be sharing her recent works through screening as well as giving a guided tour of her work at the Biennale’s exhibition space and afterwards, a talk session with the film critic Woo Jueren.